Despite ongoing warnings of the very real threat of car cloning, leading vehicle information expert HPI believes people are more at risk of buying a cloned car than ever before. As the recession takes its toll on the UK, criminals are using more sophisticated methods to clone vehicles and car buyers are repeatedly falling foul of these fraudsters. Car cloning is the vehicle equivalent of identity fraud - criminals steal a car and give it a new identity copied from a similar vehicle already on the road. 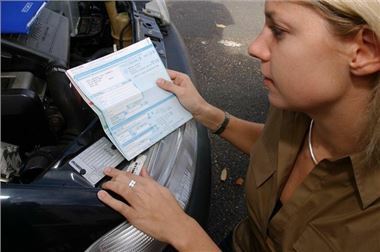 The criminal will disguise the unique 17 digit Vehicle Identification Number (VIN) on the stolen car, as well as using a stolen V5/logbook to try to legitimise its identity. One Always check the provenance of the car, and make sure you view it at the registered keepers address (as shown on the V5/logbook). One vital check the buyer can do is to find all the VIN/chassis numbers on the vehicle to make sure they match, and then use the HPI Check to ensure they tally with the registration number of the vehicle. Shockingly, a recent HPI Check customer arranged to buy a car from a seller on a lay by on the A47 in the East Midlands. The buyer conducted an HPI Check but only against the registration number, as no vehicle documentation was made available by the seller and the VIN number given appeared to be incorrect. Under pressure to buy the car there and then, cash changed hands and the deal was done. Subsequently, the new owner identified the correct VIN and called HPI. The correct VIN related to a stolen vehicle, confirming the car was indeed a clone. Two Know the car’s market value. If you are paying less than 70% of the market price for a vehicle, then be on your guard. No seller will want to lose money on their sale. In one recent case an HPI customer paid £11,000 cash for a vehicle HPI valued at £21,000. There is rarely such a thing as a bargain and in this case the car was later proven to be a clone. Three Don’t pay with a substantial amount of cash, particularly if the car is costing you more than £3,000. Some cloners will take a bankers draft as part payment, because the cash part is sufficient profit without ever cashing the bankers draft. Most crooks selling cloned cars would rather walk away from a sale than take a payment that could be traced back to them. Despite strong advice to buyers to pay via the banking system, HPI still hear of many buyers who go on to pay in cash and subsequently find out that the car is a clone, and that they’ve lost both their money and the vehicle. Four... Check the vehicle’s V5/logbook. Stolen V5 documents are currently being used to accompany cloned vehicles but the HPI Check includes a unique stolen V5 document check as standard. This will confirm whether or not the document is one that the DVLA have recorded as stolen. As well as revealing whether the car is registered as stolen, has been written-off, or is on finance, the HPI Check also protects buyers with the HPI Guarantee(3). This provides up to £30,000 financial reimbursement in the event of the car not being everything it seems – including a clone. If buyers are concerned that they may purchase a cloned vehicle, they should visit www.hpicheck.com for further advice.